Tiffany Trump allegedly dating a billionaire boyfriend from the country her father referred as a shithole. 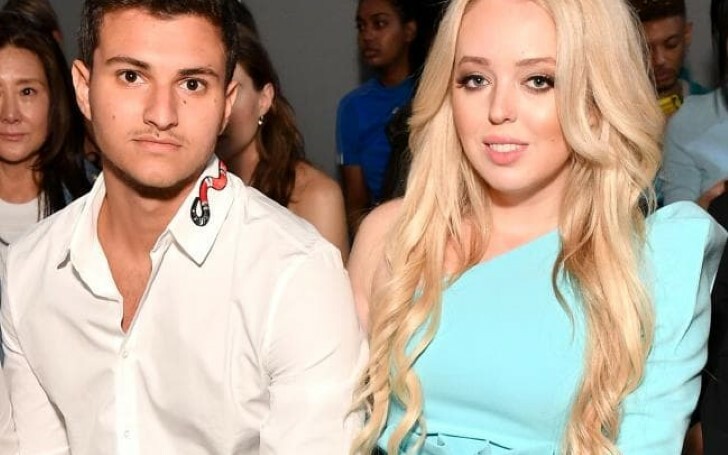 The first daughter Tiffany Trump has been privately dating billionaire boyfriend Michael Boulos from Nigeria. According to a source close to Tiffany, she and Boulos spent Thanksgiving together at Trump’s Mar-a-Lago earlier this month where he met most of her family. The first daughter supposedly started dating the billionaire Michael Boulos in June 2018. The couple reportedly met this summer while on vacations in Mykonos, Greece. After breaking up with long-time boyfriend Ross Mechanic in spring, Tiffany is seeing a handsome, London-based billionaire who grew up in Lagos Nigeria, where his well-connected family owns a multibillion-dollar conglomerate that trades in vehicles, equipment, retail, and construction. "Tiffany is happy she has so far been able to keep things with Michael under the radar. But she introduced him to her family at Thanksgiving, and he comes across as a very intelligent young man from a great family." Bolous is of Lebanese origin and attended an elite international school in Nigeria and his brother Fares is an actor and rapper who performs as Farastafari. Their family founded Boulos Enterprises and the publicly traded conglomerate SCOA Nigeria. During a January meeting on immigration, Donald Trump reportedly called El Salvador, Haiti and unspecified nations in Africa "shithole countries." Nigeria was furious regarding the comment and asked for clarification from the US officials deeming the comment to be deeply hurtful, offensive and unacceptable. Trump later denied using the insulting phrase but admitted the language he used at the meeting was tough. On meeting Nigerian president Muhammadu Buhari, Trump reportedly described Nigeria as a beautiful country which he would love to visit one day. Previously, Tiffany dated her classmate Ross Mechanic, from the University of Pennsylvania. The couple split after two years of relationship. The pair was first photographed together in October 2015. They would usually share their daily activities on Instagram. A source earlier in the year said: The pair had a "cordial" split last fall. "She’s taking law school seriously." Meanwhile, Tiffany has found a new love interest with Boulos. Although neither of them have commented on their romance, the reported couple was also spotted attending the Toray Wang show during New York Fashion Week this fall.